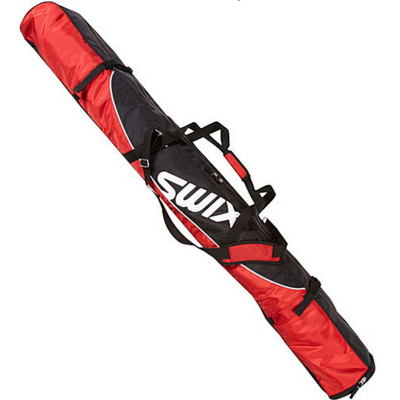 Keep your favorite pair of skis smartly and stylishly well-protected on your way to and from the slopes using the Swix Elite Expandable Single Ski Bag. 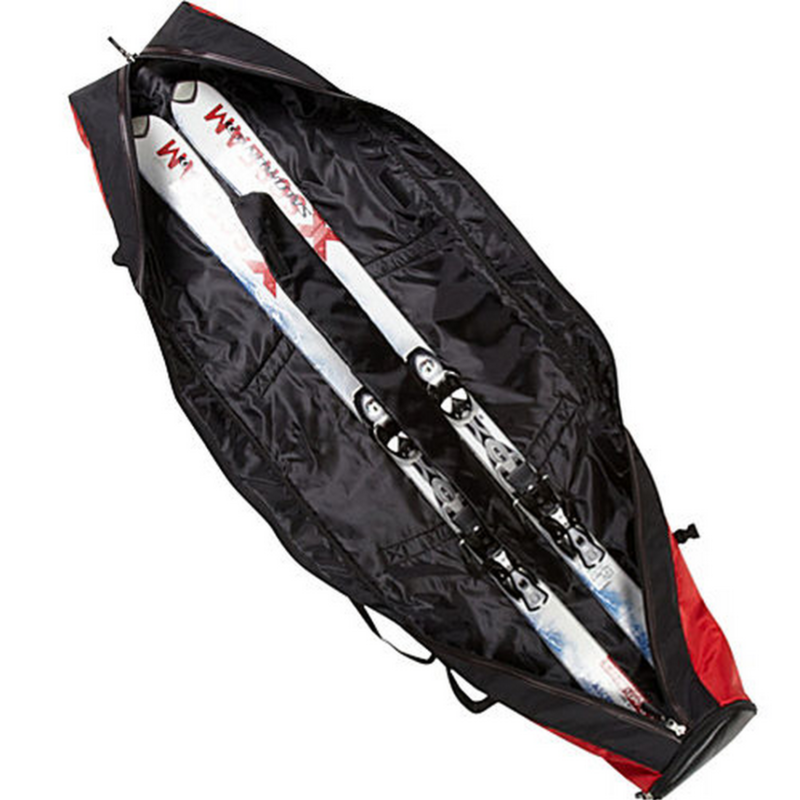 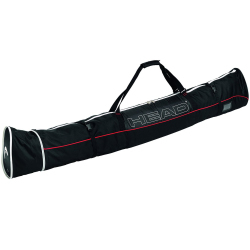 This lightweight and durable PVC-backed polyester carrying case features sleek, streamlined styling and a two-tone design with bright structural piping and embroidered Swix logo accents, and it was designed to accommodate one pair of snow skis. 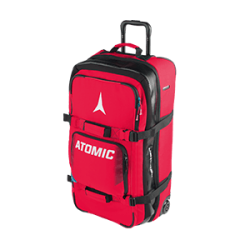 It has a convenient center zip opening, and it boasts an expandable padded and lined interior with cinch straps and ventilation grommets. It comes with both wrapped double handles and an adjustable shoulder/grab strap. 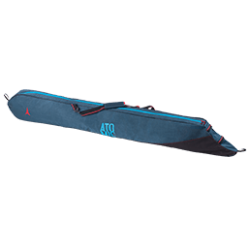 Double needle stitch with reinforced carbon panels at zipper for protection. 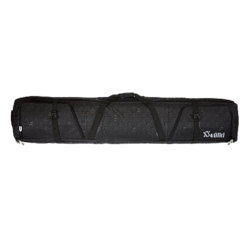 Synch strap stabilizer and rivets for ventilation.